The i.MX RT1050 is a new processor family featuring NXP’s advanced implementation of the ARM Cortex-M7 Core. It provides high CPU performance and real-time response. The i.MX RT1050 provides various memory interfaces, including SDRAM, Raw NAND FLASH, NOR FLASH, SD/eMMC, Quad SPI, HyperBus and a wide range of other interfaces for connecting peripherals, such as WLAN, Bluetooth™, GPS, displays, and camera sensors. 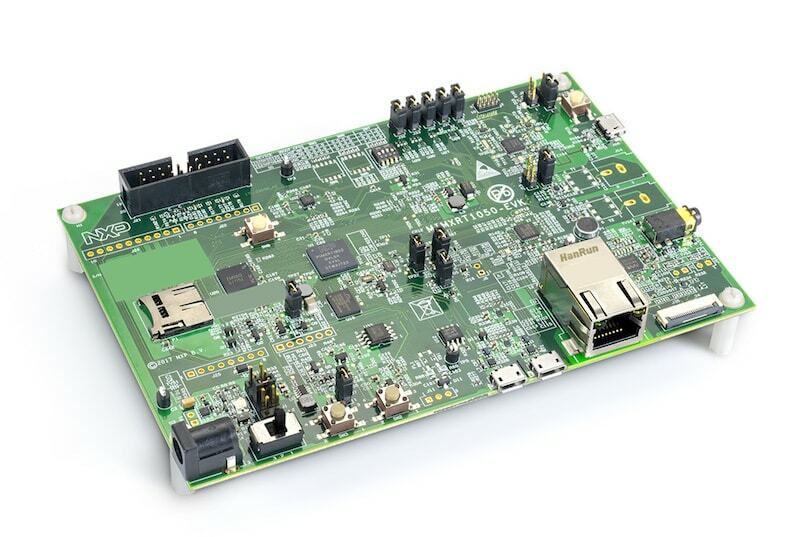 As with other i.MX processors, i.MX RT1050 also has rich audio and video features, including LCD display, basic 2D graphics, camera interface, SPDIF, and I2S audio interface. The MIMXRT1050 SoC has eight UARTs. One is configured for the console and the remaining are not used. The MIMXRT1050-EVK includes the NXP OpenSDA serial and debug adapter built into the board to provide debugging, flash programming, and serial communication over USB. To use the Segger J-Link tools with OpenSDA, follow the instructions in the Segger J-Link page using the Segger J-Link OpenSDA V2.1 Firmware. The Segger J-Link tools are the default for this board, therefore it is not necessary to set OPENSDA_FW=jlink explicitly when you invoke make debug. With these mechanisms, applications for the mimxrt1050_evk board configuration can be built and debugged in the usual way (see Build an Application and Run an Application for more details). The pyOCD tools do not yet support this SoC.